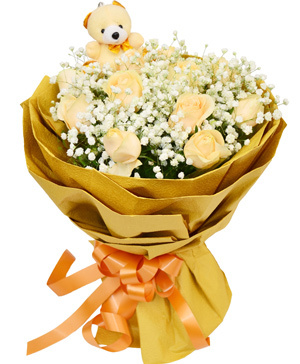 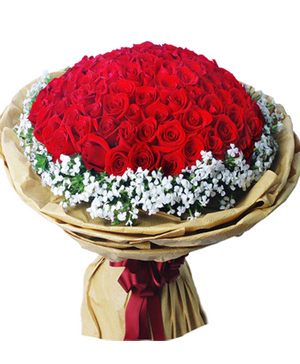 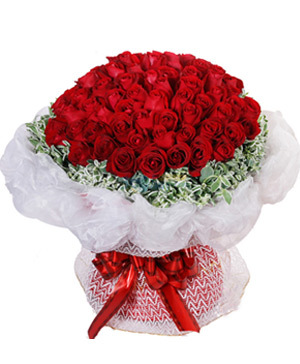 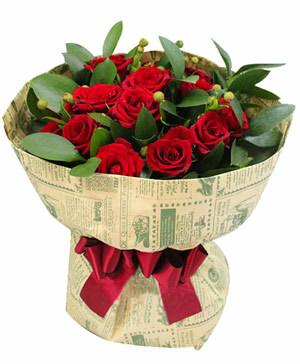 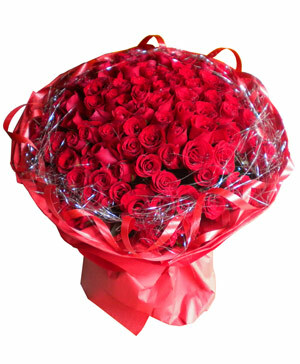 99 stems premium red roses bouquet for Forever Love. 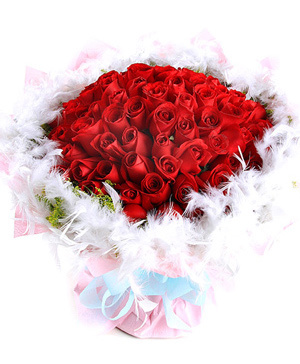 Pure white feather surrouding and solidago canadensis ornaments, with pink crepe paper round package. 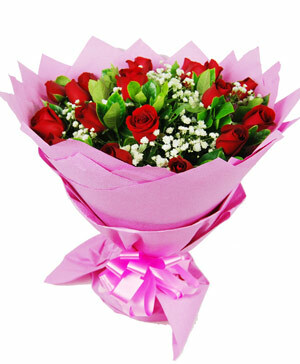 The picture is only for reference and the main items are the same, the effect is guaranteed. 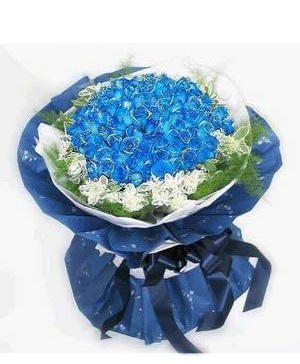 Please order one day in advance.